The blood of the Lamb and how the remnant overcomes by it is stressed in the last portion of Revelation 12. The previous page looked at the fall of Satan. Successfully enduring his great wrath will only happen for those who are entirely dependent on the Saviour who shed His blood for them. What are we to be overcomers of? Is "conquerors" equivalent to "overcomers"? Nothing "shall be able to separate us from the love of God" (Rom 8:39). If nothing can separate us, then we are continually connected. Could this have something to do with the Hebrew word "tamid" which means "continual" as used in Daniel chapter 8? Most interpreters put this verse at the cross. There can be multiple applications of scripture and I do not in any way want to minimize the cross. Salvation is from our God because of what Jesus did at the cross but there are strong indications of an additional, end-time meaning. The word "woe" here may connect to the woes of the trumpets. Remember the 5th trumpet was also called the first woe and, as we found in our study of chapter 9, it relates to the coming of Satan to earth in his last effort to deceive. What is it about the devil coming down to earth (presumably from heaven) that is to be a cause for rejoicing among those in the heavens? The inhabitants of the earth and sea will experience woe from this because of the persecution connected with it. And the devil will have great wrath "because he knoweth that he hath but a short time" And we could ask what is a short time? Is 2000 years a short time? Really, any time is short relative to eternity but 2000 years (the time since the cross) is not short compared to 6000 years (since creation). However, three and a half years or seven years is quite a short time. It seems that the dragon has persecuted the woman from the very beginning. God's followers, symbolized by the woman, throughout earth's history, have had to endure whatever the dragon could do against her - and many, in past ages, have overcome by the blood of the Lamb. This started even with Eve. Through Satan's influence, her first son became a murderer and her second son was killed. We saw on the previous page that Satan was cast down in stages. He has probably intensified His attacks and improved his effectiveness in them at each stage. Verse 12 suggests an end-time scenario when Satan's wrath will be the greatest as his desperation increases. The man child was mentioned in Rev 12:5. The discussion on that verse showed that God's followers could also be involved. Did the Woman Flee into the Wilderness Twice? It certainly looks like these 2 verses are talking about the same event. However, we can identify at least three differences. 1. The mention of wings is added in verse 14. Wings can indicate speed and, if verse 6 is referring to a historical (Middle Ages) persecution and verse 14 is referring to an end-time persecution, there would certainly be a difference in terms of the duration of the wilderness experience. They obviously would not mean the same thing in that verse. So there is the possibility that the meaning, in the end-time setting of verse 14, is 3 ½ seasons which would be less than one year. There is another theory about these times and how there might yet be an adjustment in God's calendar. There is also a similarity between all the mentions of this time period which supports the idea that it represents a time of persecution. Also, if you haven't read it, it might be useful here to look at the page describing the significance of a wilderness experience. In this case, somehow, "the earth" is involved. In the historical application of this verse, the earth is considered to be North America as opposed to Europe. Many people suffering persecution in Europe during the Dark Ages fled to North America. 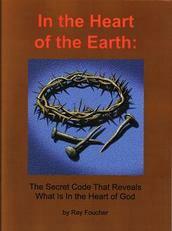 The question is what could "the earth" mean in an end-time setting? The dragon (Satan, verse 9) is wroth (angry) with the remnant and makes war with them. The remnant is the last part of something. In this case, it is the last part of the seed of the woman. Those that were fearful and afraid and those who did not keep their eyes on the enemy were separated and sent home. Those that remained, the remnant, meet the criteria, they passed the test and went on to a great victory. they "keep the commandments of God"
they "have the testimony of Jesus Christ"
They "keep the commandments of God" so they certainly must keep the Ten Commandments. Most of even the Christian world, while they profess to keep keep the Ten Commandments, disregard the fourth commandment and teach Sunday observance which the Bible never commands. Can we not, from this, equate the prophets with those that have the testimony of Jesus? Then the remnant of Rev 12:17, described as having the testimony of Jesus Christ, must have the prophetic gift. This must be distinct from just owning books containing prophecies or the Bible itself that has so many prophecies as even many ungodly people own those. This suggests the idea that the 144,000 who are described as being "... without fault before the throne of God." (Rev 14:5) could be translated to heaven as Enoch was - without seeing death. We know that some people will be alive at the Second Coming (1 Thess 4:17) so this is quite reasonable. The end of the great controversy described in Revelation chapter 12 will be victory for God's people, victory by the blood of the Lamb.